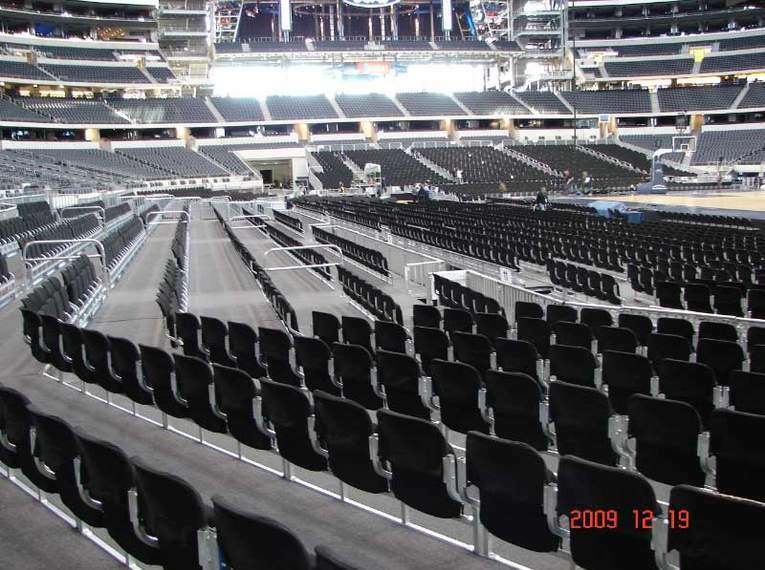 in (2009) they approached the temporary seating industry to find ways that they could utilize the stadium for more than just football games. 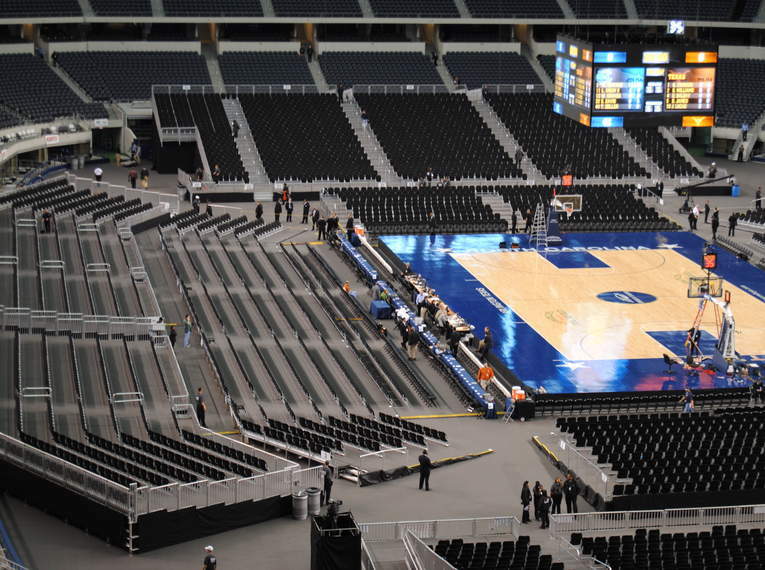 The Cowboys entrusted this task to Seating Solutions. 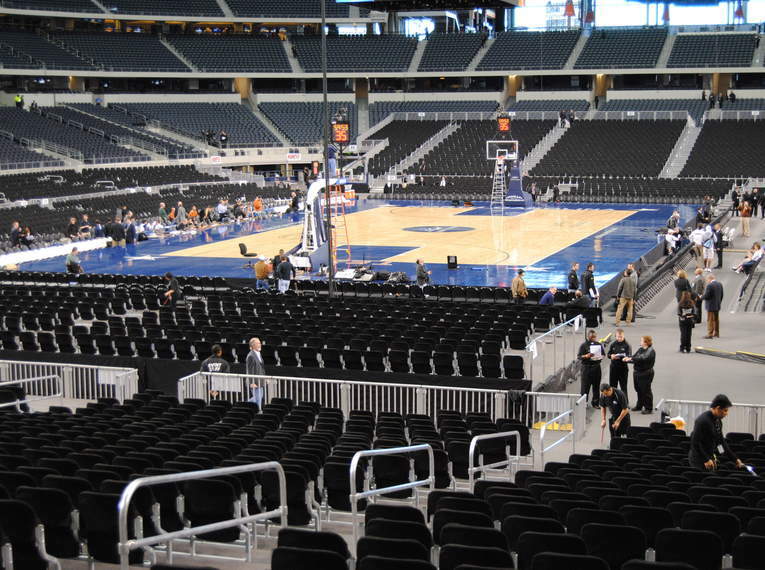 The major obstacle that needed to be addressed was designing a seating system on the floor of the stadium that did not impact the sightlines of the existing seating. 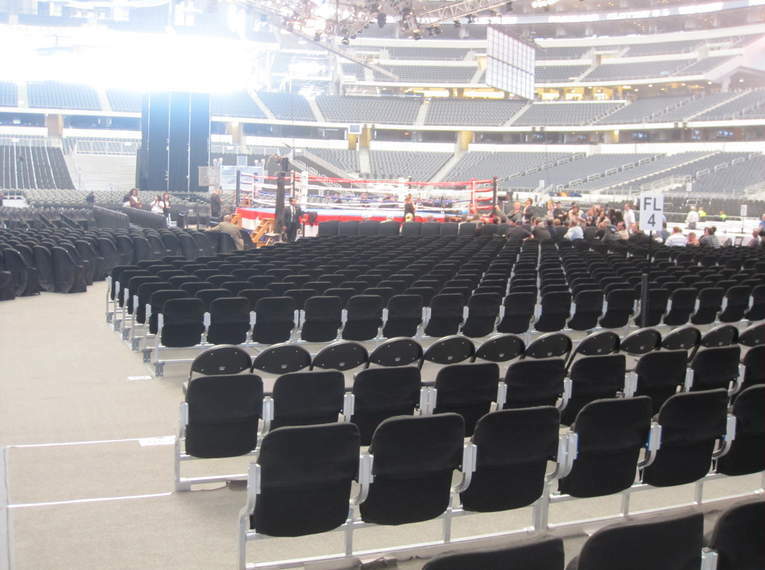 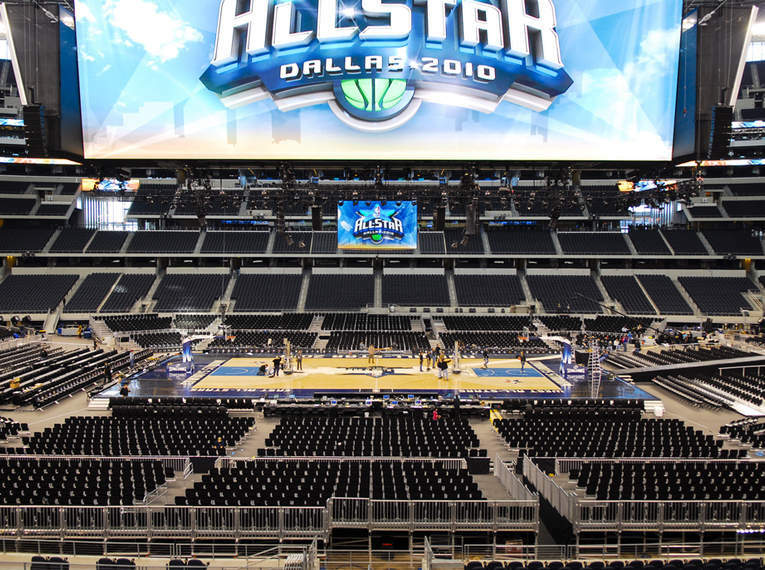 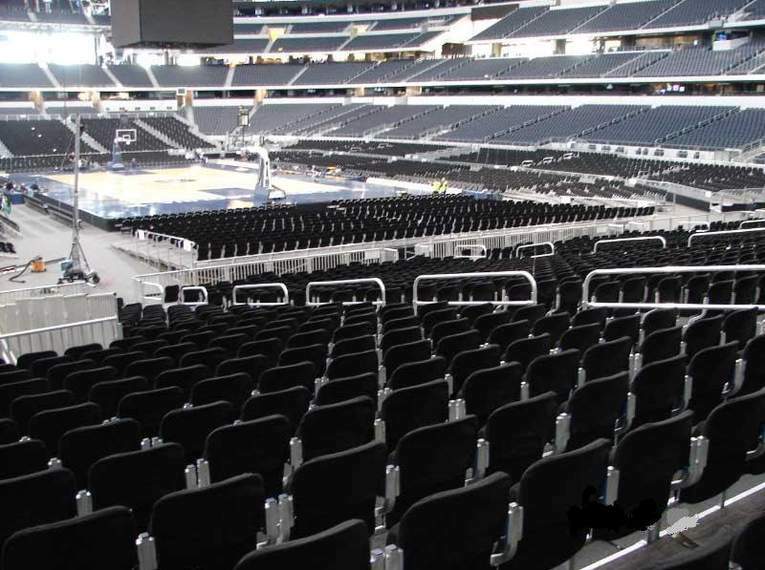 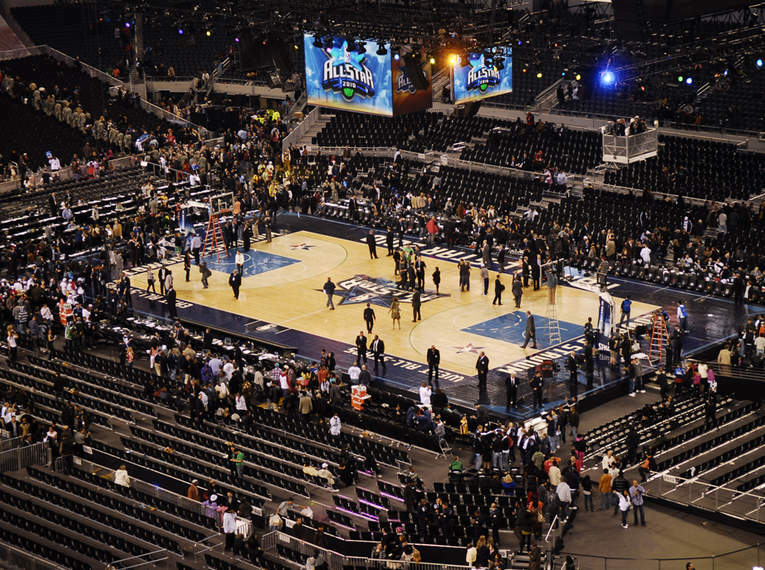 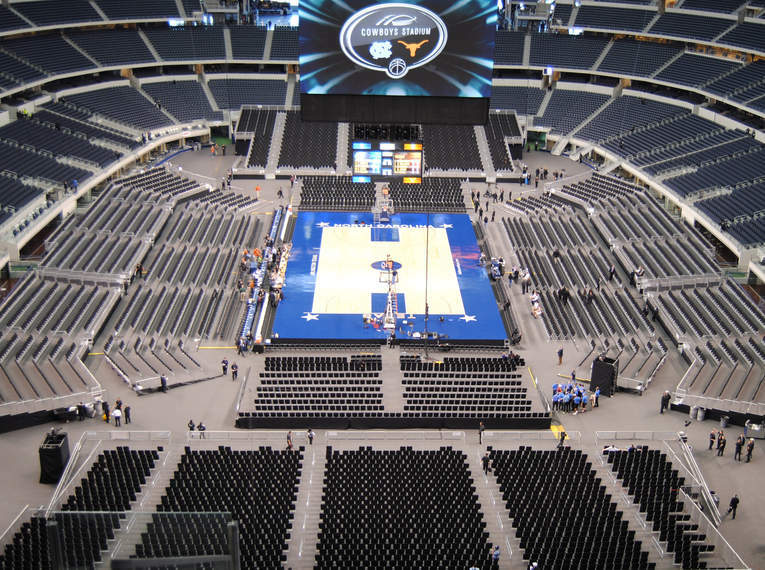 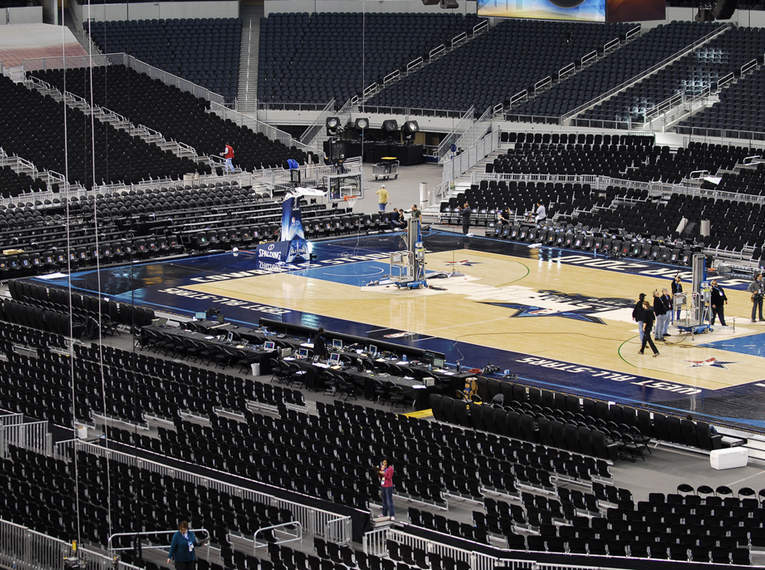 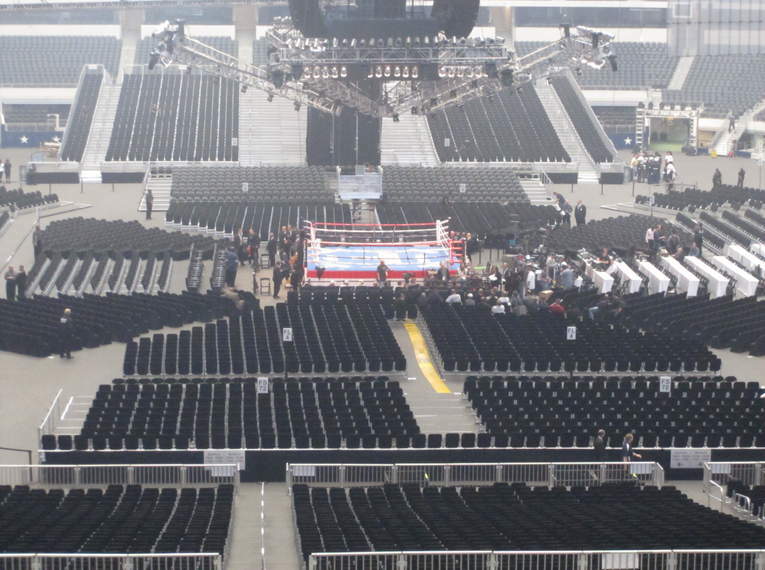 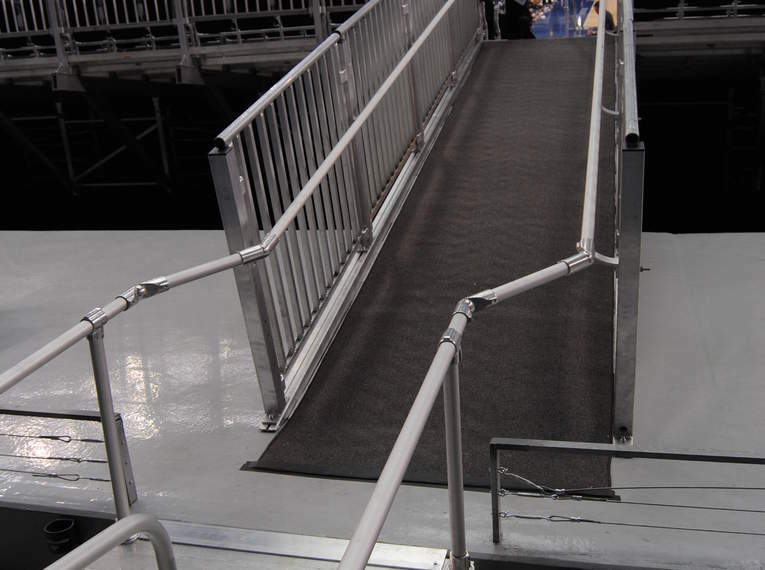 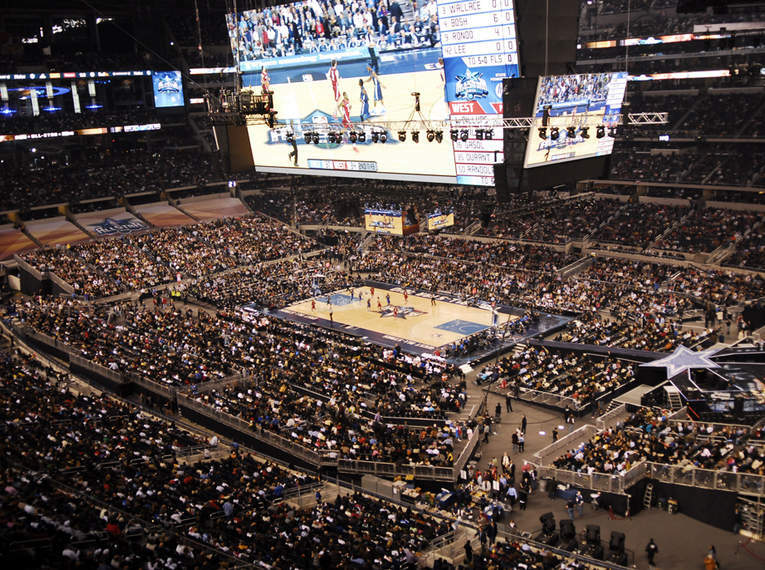 Seating Solutions designed a custom yet still modular seating system with a variable rise per row and tread depth that allowed the Cowboys to add over 9,000 seats on the floor for events such as NBA All-Star game and the Manny Pacquiao boxing fights.